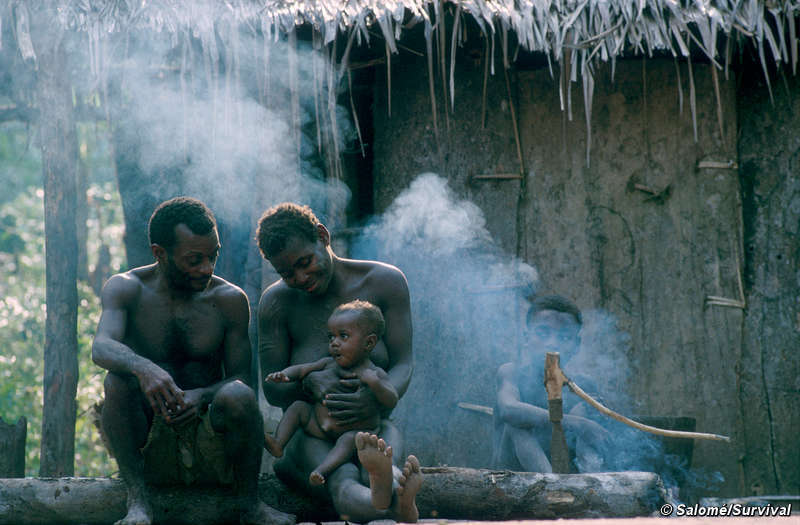 The Batwa, also known as Twa, Abatwa or Ge-Sera people of the Great Lakes Region are ancient tribe once specialists in hunting and gathering, and are said to have been the first inhabitants of the mountainous forests of the Rift Valley and one of the first homo sapiens in the world with Kalahari San people. 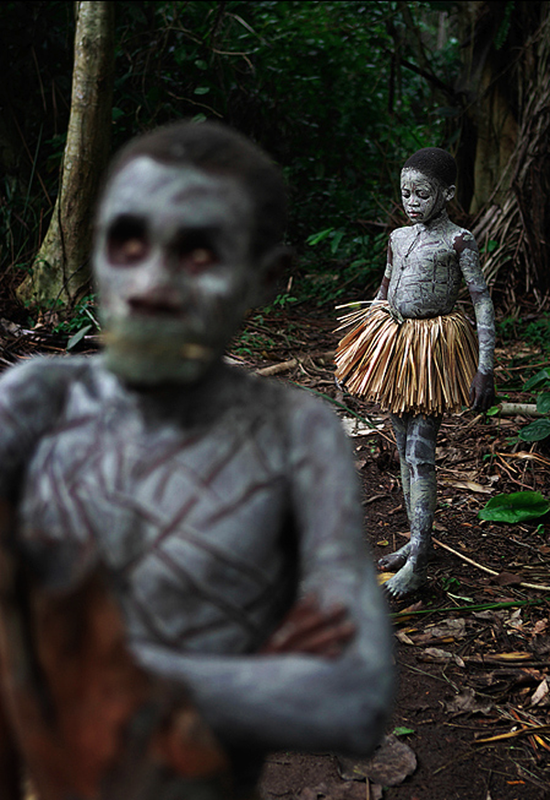 They are part of a wider group of equatorial forest-dwelling peoples in Africa academically termed ‘Pygmies.’ Some people now refer to them as "the forgotten people of Great Lake Regions." Currently they live as a Bantu caste. The forest was their home they are the guardians of the for­est and its primary benefactors. It provided them with forest skills, sustenance and herbal medicines, and contained their sacred sites. The estimated population of the Batwa in Rwanda, Burundi, Uganda and Eastern Congo is between 86,000 and 112,000, making them a significant minority group in these countries. Batwa (plural)B are people and a person of Batwa tribe is known as Mutwa (singular) and the nation of Batwa is called Butwa. The term -Twa is used in the Bantu languages of most of sub-Saharan Africa to refer to peoples who are in almost every case hunter-gatherers and former hunter-gatherers who are recognized as the original inhabitants of the area and as people who have very low status. 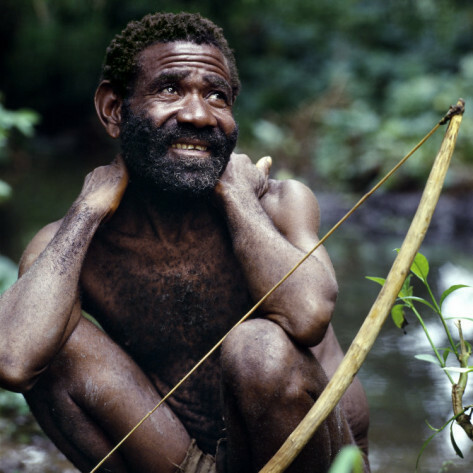 It is applied to Pygmies in Central Africa, to Bushmen in southern Africa and to other hunter-gatherers in other parts of Africa. Geographical references are therefore necessary to distinguish between different groups. The Batwa see themselves as a colonized people: first by agriculturalists, then by pastoralists in many areas, and finally by Europeans. In certain areas Batwa fiercely defended their ancestral forests against the encroachments of these invaders, but today nearly all have seen their forests disappear or their rights to live in them denied. Each colonizing group put increasing pressure on the original forest, turning most of it into farmland, pasture, commercial plantations and, more recently, protected areas for game parks and military exercises. Batwa speak several different languages today including Kinyarwandan;and in some areas pronounce their name ‘Barhwa’ rather than ‘Batwa’. In northern Kivu, DRC, some Batwa will refer to themselves as Batwa and Bambutiinterchangeably. 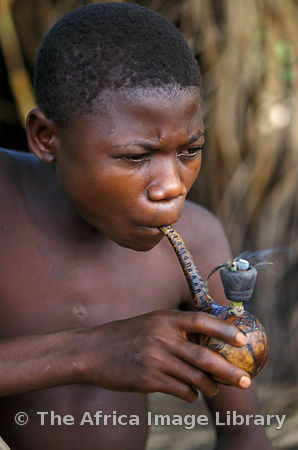 Some researchers have claimed that the Ugandan Batwa prefer to call themselvesAbayanda. Despite different names, all recognize their shared Batwa identity and the majority only refer tothemselves as Batwa. The name Batwa carries a similar ambivalence to the term ‘Pygmy’. Only tone of voice and context determine whether it is being used insultingly or respectfully. For this reason, some Batwa in Burundi who feel they have ‘developed’ get insulted when called Batwa and prefer to be called ‘Abaterambere’ (people who are advancing). 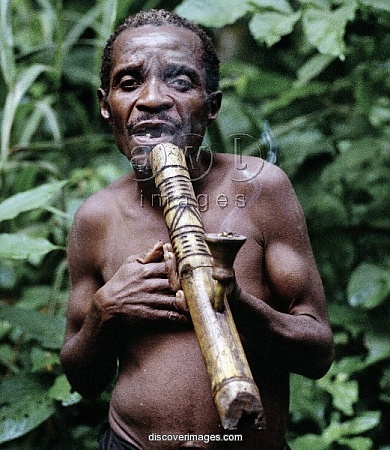 The Batwa were the original ancient dwellers of the forest. The first records of pygmies were made by the Egyptians over 4000 years ago. They described short st ature people living near the “Mountains of the Moon” extolling their abilities as dancers and story tellers. Ancient Egyptian scripts named them as "Dancers of the Gods" for their great ability in dance.We know of a letter sent by a Pharaoh of ancient Reign to one of his governors in which he thanked the governor for donating a "Dwarf" coming from "the spirit land," the name with which Egypt named the lands in its southern territories. Homer and Aristotle also made mention of them. They survived by hunting small game using poison tipped arrows or nets and gathering various plants and fruit that the forest naturally supplies. Small temporary huts constructed with leaves and branches served as their dwellings, which are abandoned after a few months when they relocated to another part of the forest in search of fresh supplies of food. Their tools were remarkably pre-stone age. The Batwa were originally based around the mountainous forest areas around Lake Kivu and Lake Edward in the Great Lakes region. 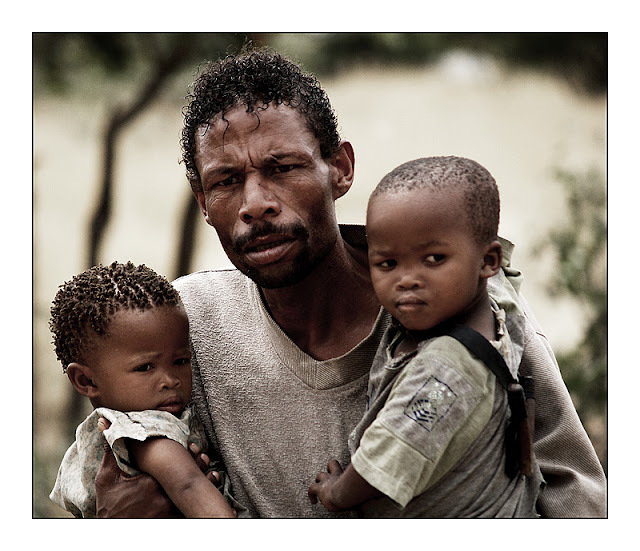 Since they were evicted from the forests, they live as squatters in various rural areas. The first M’ntu (Bantu for human.Homo sapiens) was in East African region, in the area between lake kyoga,victoria,Tanganyika and lake Nyasa The first of the Ntu settlements was at Oldvai gorge. 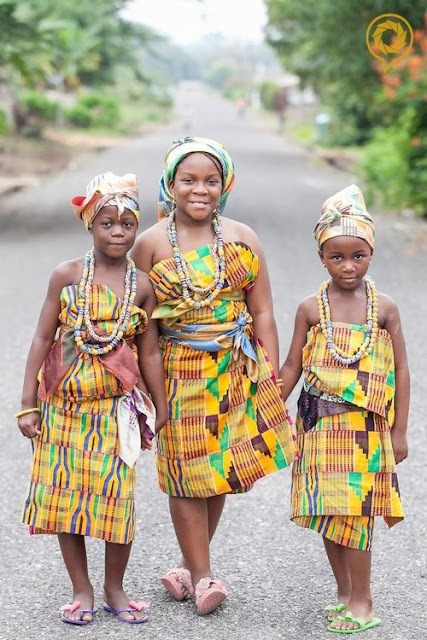 Ntu is a sub-Saharan reference to a human being.Ba-ntu is a collective term for human beings.According to people from the equatorial area of Africa to the tropic of Capricorn,all human beings are Bantu/Ba-ntu whether black or white. Scientific DNA gene tracing has revealed that the first human were pygymoid Twas or Sarwa (San) in Africa. The inter-marriage between Twa, Kalahari San and other Stone-Age Bantu gave birth to various ancient and modern earth’s indigenous tribes which later developed wider knowledge that spread the continent of Africa and the world.The world continents were then still attached together (Pangea) about 200 to 300 million years ago.The earth was filled with plenty food, fruits and peace for first humans to survive on.Everything then was in Harmony. First humans did not have to work at all and did not have to think too much to eat. In sub-Saharan Africa life continued that way for humans until 1000 B.C when interior Africans fully attained greed due to gradual increase in different Tribe’s population and learnt to fight and conquer one another. The separation of continental plates to form Gondiwana was such a big natural disaster in Earth’s History and for humans and animals but God saw that the Twas survived .The incident cast them thousands of miles apart onto different continents. Some ended up in Oceania,South America, Asia,and Australasia while others stayed in Africa. 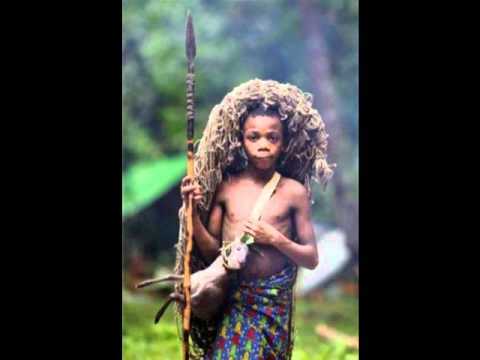 "Semangs of Malaysia just like the negarito Aetas of Philippines, Andamaneses of India and other black tribes in Asia today are the remnants of the Homo Sapiens of African origin (Batwa and Sarwa/Kalahari San), who migrated out of Africa from about 80,000 to 70,000 years ago. The Africans migrated along the coast of Arabia to West Asia to India; a branch continued across the major islands off Asia -- Indonesia, Borneo, Papua New Guinea -- and some as far as Australia, marking the first major sea crossing of humans; a branch continued along the coast of Asia to West Asia to China; from China a branch went westward into Central Asia, and then some southward into Southeast Asia, particularly India, while a branch continued westward into Europe, these together forming the Indo-European group and then the last major group went from China across the Bering Straight into North America and from there some continued into South America." Twas went on to spread on the earth’s land to modern day Australia, Papua new Guinea,amazon, Greenland, Siberia and Mongolia.Amazon Twas are mongoloid Sarwas/Sans.The same as upper Northern hemisphere Eskmos have Mongolian roots. practices: foresters, fisherfolk and potters. access to forest today. Forest administrators in the areas concerned often argue that such access is illegal. Most Impunyu now live on the borders of forest and agricultural areas but use the forest on a daily basis. Impunyu are known to live in southwestern Uganda, northern Rwanda, southern Rwanda and in many areas of Kivu province DRC, especially around the Kahuzi-Biega National Park. 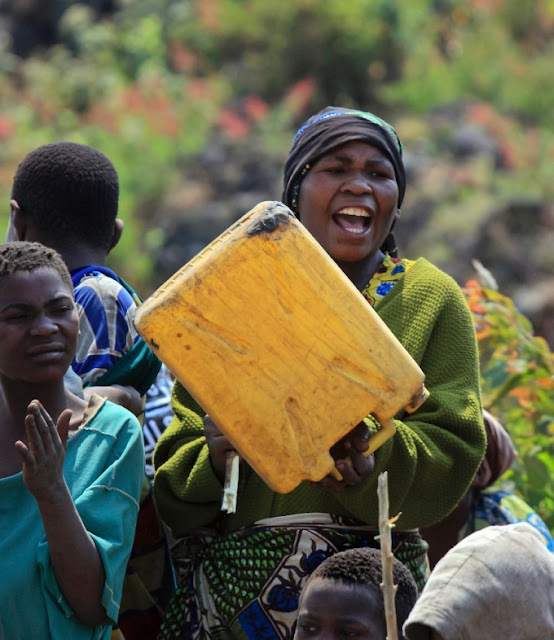 It is unclear if any Impunyu remain in Burundi. campsites both in and outside forest areas. Hunting a variety of small and medium-sized mammals and collecting different tubers, leaf and fruit stock, honey and fungi according to season, Impunyu obtain essential foods. Additionally they trade forest produce with farmers for goods, food or cash, transform forest produce into craftwork to sell, and hire their labour for agricultural and other tasks. Groups are small, rarely exceeding 50 people, often based around members of a particular clan. When a camp member dies, the person is buried and the camp abandoned immediately. Much of their traditional religion is based on the forest, on making offerings at certain sacred caves, hills, valleys, swamps or trees. Even when these sacred sites are now inside national parks, Impunyu continue to visit them secretly. They are widely considered most knowledgeable about forest lore and in the use of plants for healing. Although little is known, gender relations are likely to be extremely egalitarian, as is the case amongst other Pygmy groups. Each clan collectively owns an area of forest. Although they can travel freely in each other’s areas, people often stay in their own clan area because they know the resources there best. Today many groups who no longer have access to forest remain on the farms that have taken over their traditional land, where they are often described as squatters or tenants, despite the land being really theirs. indicative of their miserable status. This is not necessarily true. If Impunyu are begging more now than before it rather indicates the miserable state of their forests, or that they no longer have access to them. ‘Demand-sharing’(begging) is the Impunyu’s way of obtaining shares from neighbours who do not understand or value sharing. Crop theft, although now much rarer, is also a common means hunter-gatherers use to obtain shares from otherwise uncooperative neighbours. DRC and some live on the shores of Lake Tanganyika and Lake Rweru. Their numbers are unknown but are unlikely to exceed 3,000–4,000 people. Their economy is water orientated: they trade fish for farm food or money; as craft workers, men make canoes and paddles, women baskets, mats and fish traps. 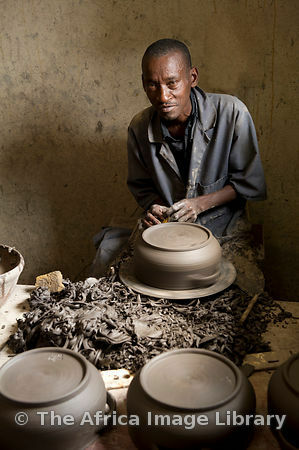 Some make pottery and many have small farms. According to the Batwa association in Kivu, PIDP, they are being prevented from openly fishing in boats because they do not have fishing licenses. 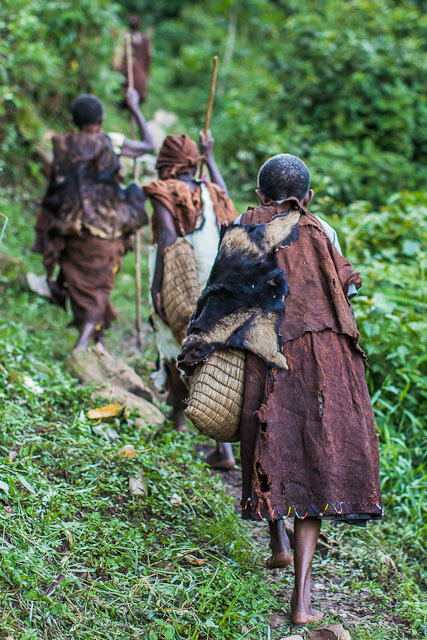 Like other Batwa they are considered the first inhabitants of their areas and required to participate in the important rituals of their neighbours. Most contemporary Batwa, around 60,000–76,000 people, fall into this imperfect category. It poorly reflects the activities of most Batwa ‘potters’ today, but must be understood in the context of the Batwa’s history of adaptation as immigrant farmers and pastoralists steadily colonized their forest habitat. came and started planting they would stay there. their activities. In addition to hunting and gathering they moved from farm to farm, the men offering their services as protectors, craft workers and labourers, while the women worked as potters. As greater numbers of immigrants arrived, they turned more and more forest into farmland and it became increasingly difficult for many Batwa to obtain wild foods and other forest resources. With the forests destroyed, the immigrants no longer depended on the Batwa for access to forest and its produce. Without the economic autonomy the forest provides, their neighbours’ perception of the Batwa becomes more negative, discrimination more marked and exploitation easier and more frequent. Despite sometimes settling down for extended periods as clients or tenants of particular farmers, most Batwa were still highly mobile, living in grass or banana leaf huts18 and showing little concern, until recently, about their landlessness. Whilst maintaining their own values and lifestyle, these groups increasingly adopted the languages and religious practices of their neighbours. They share clan names and marriage practices, and the Batwa hold critical roles during chieftancy and earth-fertility rituals. 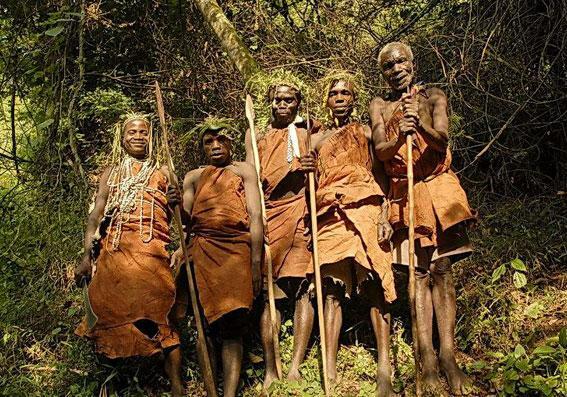 In general, Batwa seek out the wealthiest patrons they can. Some became clients to chiefs, or mwami, as they are called. In the Kivu region of DRC a chief without Batwa present at his court is considered of no consequence. Throughout the region the Batwa played a crucial role in traditional power structures. In myths and rituals the Batwa are shown as conferring legitimacy on the leader’s rule. The Batwa also performed important services for the royal courts, as entertainers, litter-bearers, hunters and messengers, or spies and warriors. 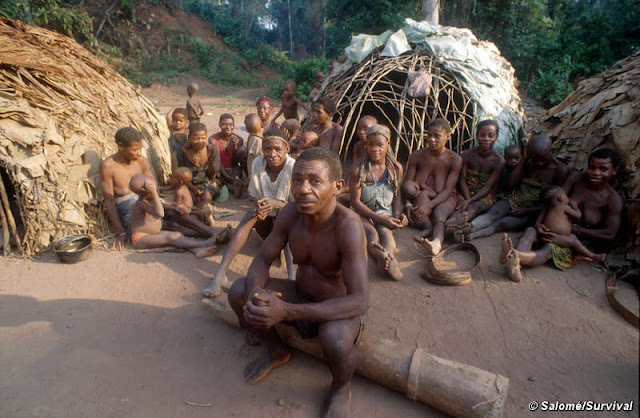 Some Batwa received land from a mwami in gratitude for their services, a tiny minority were made sub-chiefs, and one group, the Basyeti clan of Rwanda, was ennobled. the forest and hunting as a symbol of Batwa identity. 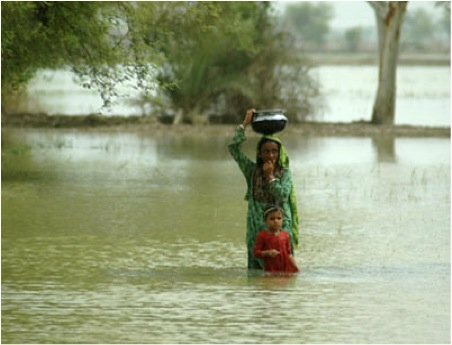 That a woman’s task came to symbolize their identity reflects the increasing importance of women to the groups’ livelihood. With unauthorized hunting strictly outlawed and no land to farm, men’s contribution to the household economy diminished significantly. Today women are the focus of family life. Marriages are generally unstable and many women interviewed had already had several husbands. Children always stay with the mother and when the latter are ill or unable to work the family becomes vulnerable to hunger. As men’s role in supporting the family diminishes, so too does their selfesteem and social value. Many women complained of their husbands’ alcohol abuse. Men complained that they have difficulty keeping their wives because they are too poor to buy them cloth or other gifts. 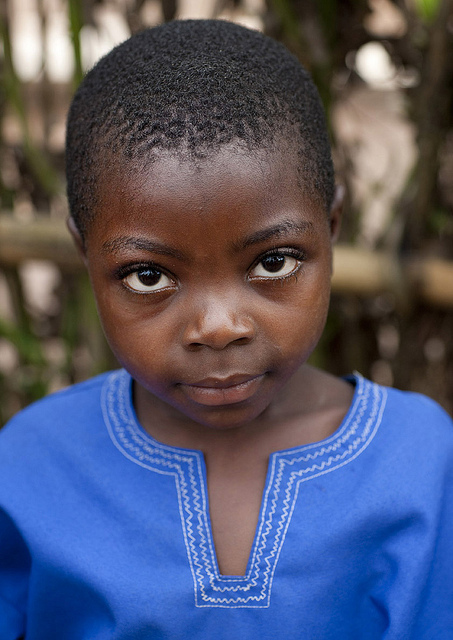 With a population of 80,000, the Batwa are the third largest ethnic community in Burundi. Even though they were one of the first communities in Burundi, the Batwa are still not recognized as indigenous people. A census conducted by UNIPROBA (Unissons-nous pour la Promotion des Batwa) in 2008 estimated the number of Batwa in Burundi to be 78,071 or approximately 1% of the population (Rapport sur la situation foncière des Batwa du Burundi, August 2006 - January 2008, Bujumbura, p16). The Batwa live throughout the country’s provinces and speak the national language, Kirundi, with an accent that distinguishes them from other ethnic groups. The Batwa have traditionally lived by hunting and gathering alongside the Tutsi and Hutu farmers and ranchers, who represent 15% and 84% of the population respectively. They also worked as potters or as musicians and entertainers. Some Twa in Burundi who feel they have ‘developed’ get insulted when called Twa and prefer to be called ‘Abaterambere’ (‘people who are advancing’). No longer able to live by hunting and gathering, the Batwa are now demanding land on which to live and farm. 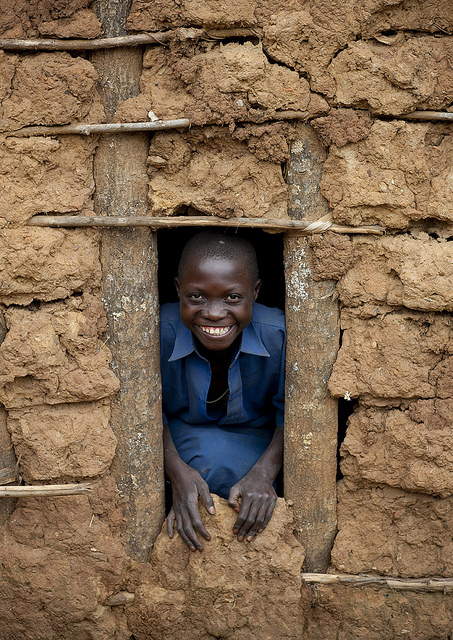 A census conducted by UNIPROBA in 2008 showed that, of the 20,155 Batwa households in Burundi, 2,959 (14.7%) were landless. Of these landless households, 1,453 were working under a system of bonded labour, while the other 1,506 were living on borrowed land. moreover, Batwa landowning households usually only have very small plots, often no more than 200 m2 . The Echuya is located in the Albertine Rift region recognized as an important eco-region. The Batwa are believed to have migrated from the Ituri Forest of the DRC (Democratic Republic of Congo) in search of wild animals (game meat), hence the name Kisoro, literally meaning “the area occupied by wild animals”. In recent years, the Batwa of this region in Uganda have been expelled from their traditional forest lands (Bwindi impenetrable forest), due to gazetting of their lands for conservation purpose, including the creation of the Bwindi and Mgahinga National Parks for Mountain Gorillas in 1991. The Bwindi Impenetrable Forest is home to some of the greatest biodiversity on the planet, a profusion of exotic plants and animals that includes the endangered mountain gorilla. The current population of the Batwa in south western Uganda is estimated to be at 6,705 (Estimates from 2002 Uganda Bureau of Statistics Census) people living in 39 communities, but they have now reduced to about 4,000. They face severe segregation from other majority groups in the area and are looked at as a cheap source of labour. Since being banned from using the forest the community has limited alternate sources of income resorting to begging and providing occasional labour. Majority of the people in the communities do not have homes, or any belongings to speak of. In Rwanda, the Batwa are one of three ethnic groups. They make up only 0.4 % of the population whereas the Hutu and Tutsi comprise 85 % and 14 % respectively of the total population in Rwanda. 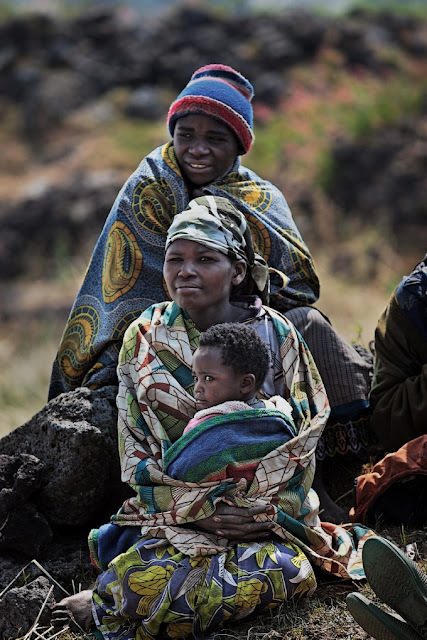 The Twa people (or Batwa) can be considered the forgotten victims of the Rwandan war and genocide; their suffering has gone largely unrecognised. Twa can claim to be the original inhabitants of Rwanda. Dr Jerome Lewis, co-author of "The Twa of Rwanda," Twa are called abayanda (people who steal) and abashenzi (uncivilised) and are popularly mythologised as being immoral and depraved. 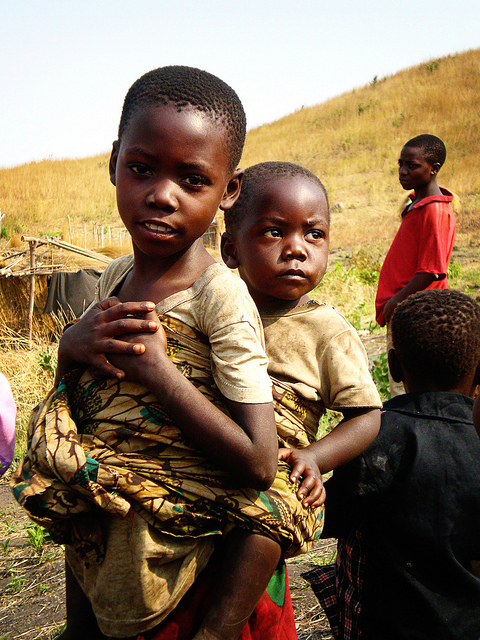 According to CAURWA's 2004 national socio-economic survey carried out in conjunction with the Rwanda`s Ministry of Finance's statistics department and with FPP support, the population of Rwandan Batwa people was 33,000 in an estimated 600 households and none are thought to maintain a traditional existence as forest-dwellers.Twa are dispersed throughout the country in small groups. 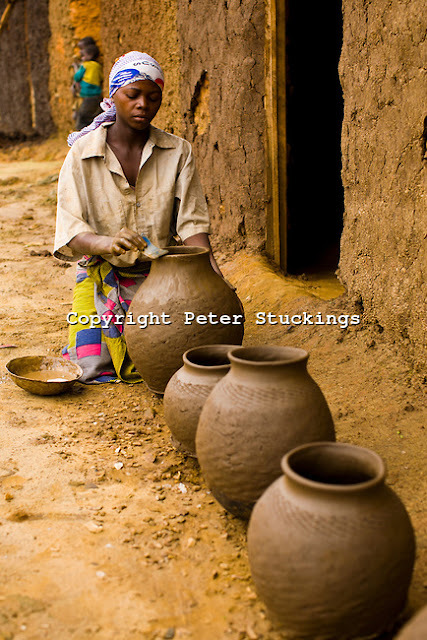 Most work as potters, though others earn a living as day labourers or porters. Almost none own land or cattle. The Rwandese government still does not recognise the indigenous or minority identity of the Batwa and, in fact, all ethnic identification has been banned since the 1994 war and genocide, even though the government voted in favour of the UN Declaration on the Rights of Indigenous Peoples. Because of this unwillingness to identify people by ethnic group, there is no specific law in Rwanda to promote or protect Batwa rights. Traditionally, the Twa were forest-dwellers. As farming and herding Hutu and Tutsi encroached on and cleared their ancestral forests, Twa were increasingly forced to abandon their traditional lifestyle and culture. On the margins of the new society, some survived by making and selling pottery. By the 1970s agriculture and conservation schemes created ever-greater pressures on the Twa, rendering many landless-without consultation or compensation. 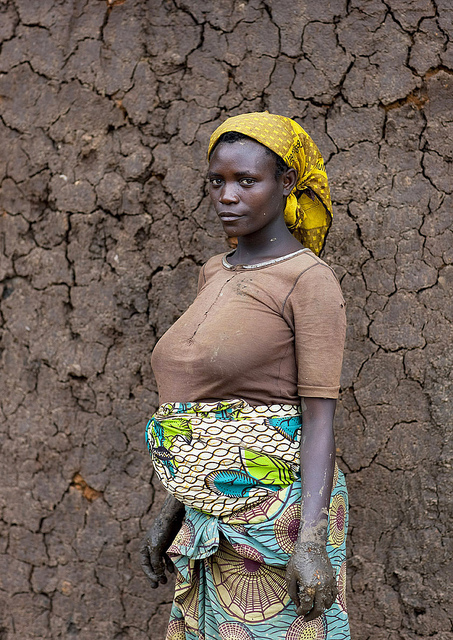 In the late 1980s, all remaining forest-dwelling Twa were evicted from Volcanoes National Park, the Nyungwe Forest Reserve, and the Gishwati Forest. As a result of this land confiscation, Twa have lost much of their traditional forest knowledge. Increasing poverty brought on by the loss of their livelihoods in turn led other Rwandans increasingly to stigmatize Twa as social outcasts. Despite the limited numbers involved, there is a widespread Hutu perception that Twa are sympathetic to Tutsis, reinforced by the involvement of some Twa in Burundi with the overwhelmingly Tutsi army. Very many Twa were killed in the 1994 war and genocide. The Unrepresented Nations and Peoples Organization (UNPO) estimates that about 10,000 people, more than a third of the Twa population of Rwanda, were killed and that a similar number fled the country as refugees. The situation varied considerably from area to area. In some places Twa were killed as Tutsi sympathizers or allies; in others Twa participated in the massacres of Tutsis. UNPO reports discrimination against Twa in the distribution of food and other supplies in the refugee camps. According to the legend in Rwanda Batwa people were born to dance: One evening, so the lore goes, God found himself in need of lively entertainment and called on the people of heaven to dance. The first to begin were the Batwa (commonly known as Pigmies), who danced and howled and laughed well into the night until God was finally satisfied. He thanked his entertainment, permitting them to go home and retired to his quarters. But the Batwa didn’t stop. They continued to dance until the early hours of morning, and on multiple occasions God was forced from his slumber, calling them to put a stop to it. Finally God had enough. In a fit of fury he reached out, picked each one of them up and flung them straight down to the earth below. They landed in the Parc National Des Volcans (Volcanoes National Park) in Rwanda, started dancing and have never stopped. Batwa live scattered throughout the Congo. In addition to the Great Lakes Twa of the dense forests under the Ruwenzoris, there are notable populations in the swamp forest around Lake Tumba in the west (about 14,000 Twa, more than the Great Lakes Twa in all countries), in the forest–savanna swamps of Kasai in the south-center, and in the savanna swamps scattered throughout Katanga in the south-east, as in the Upemba Depression with its floating islands, and around Kiambi on the Luvua River. Arab and colonial accounts speak of Twa on either side of the Lomami River southwest of Kisangani, and on the Tshuapa River and its tributary the "Bussera". Among the Mongo, on the rare occasions of caste mixing, the child is raised as Twa. If this is a common pattern with Twa groups, it may explain why the Twa are less physically distinct from their patrons than the Mbenga and Mbuti, where village men take Pygmy women out of the forest as wives. The Congolese variant of the name, at least in Mongo, Kasai, and Katanga, is Cwa. 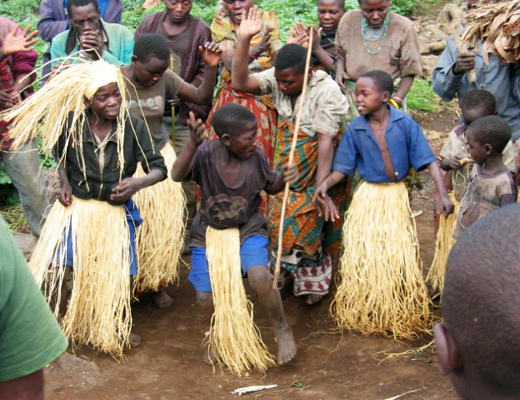 Batwa People Singing and Dancing. Photo taken in a Batwa (pygmy) agricultural village on Idjwi Island, Democratic Republic of Congo. 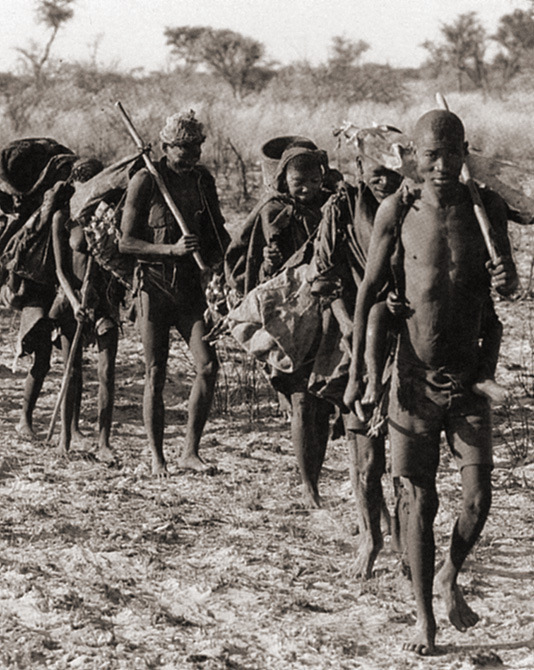 The southern Twa today live in close economic symbiosis with the tribes among which they are scattered—Ngambwe, Havakona, Zimba and Himba. None of the individuals I have observed differs physically from the neighboring Bantu. The Twa of these countries live is swampy areas, such as the Twa fishermen of the Bangweulu Swamps, Lukanga Swamp, and Kafue Flats of Zambia; only the Twa fish in Southern Province, where the swampy terrain means that large-scale crops cannot be planted near the best fishing grounds. Cavalli-Sforza also shows Twa near Lake Mweru on the Zambia–Congo border. There are two obvious possibilities: the Luapula Swamps, and the swamps of Lake Mweru Wantipa. The latter is Taabwa territory, and the Twa are reported to live among the Taabwa. The former is reported to be the territory of Bemba-speaking Twa. 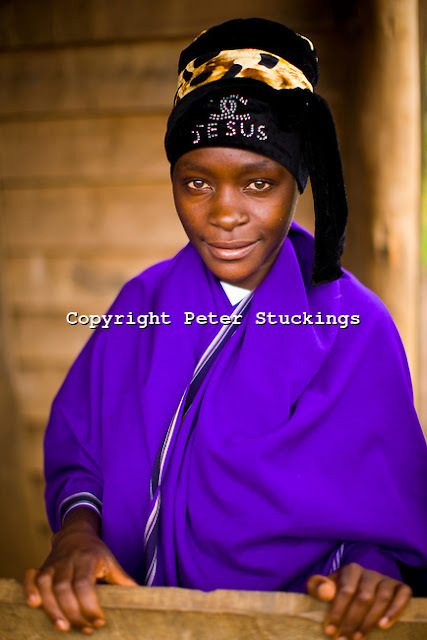 Batwa religous belief centers around a supreme being called "a`an." This god is seen as the benevolent creator of all things and is assisted by a lesser deity named "a`an `e la tleni" (a`an the small). Potgieter (1965) believe that certain Batwa attitudes toward the moon points to previous systemic worship of universal/heavenly bodies. Batwa,he says, believes that the moon is a source of good especially its impact on human fertility and that its waxing and waning influence the life of the individual. The Batwa also have serious belief in ancestral worship. 390. In a letter dated 18 December 2009, the Special Rapporteur on the human rights and fundamental freedoms of indigenous people, James Anaya, called the attention of the Government of Uganda to information received regarding the alleged expulsion of the Batwa people of southwest Uganda from their traditional forest lands, which is integral to their survival as traditional forest dwelling hunter-gatherers. To date, there is no record of a response from the Government of Uganda in the files of the Office of the High Commissioner for Human Rights. Allegations received by the Special Rapporteur and transmitted to the Government on 18 December 2009. 391. In his communication of 18 December 2009, the Special Rapporteur transmitted to the Government information received by him about the situation of the Batwa indigenous people in of southwest Uganda, and he requested that the Government respond to the allegations contained in the communication in light of relevant international standards. a) The Batwa people are traditional forest dwelling hunter-gatherers who long inhabited the region’s mountain forests and the area around Lake Kivu and Lake Edward in the Great Lakes region of Central Africa. Approximately 3,135 Batwa are estimated to be currently living in southwest Uganda. In recent years, the Batwa of this region in Uganda have been expelled from their traditional forest lands, due to gazetting of their lands for conservation purpose, including for creation the Bwindi and Mgahinga National Parks. b) Initially, historical encroachment by agriculturalists and pastoralists, who were responsible for massive clearing of the forest, led to the Batwa moving out of the shrinking forest area and spending more time as share-croppers and labourers on neighbouring farms. During this period the Batwa often still had access to many forest resources and the forests continued to be accessible as an economically and culturally important resource. c) Beginning in the 1930s however, the English colonial administration established conservation zones on the traditional Batwa forested territories. Later, these zones were gazetted as national parks by the independent State of Uganda. In 1991, the establishment of Bwindi and Mgahinga National Parks for gorillas enabled the authorities to evict the Batwa definitively from their traditional forest lands. There was no consultation with, nor participation by the Batwa in any of the decision-making processes associated with the establishment of the national parks and their consequent eviction. Furthermore, although non-Batwa who lost their lands were compensated, the Batwa have not been compensated for their expulsion and the loss of their territory. d) Since the gazetting of their lands for conservation, the Batwa have been entirely dispossessed of their ancestral territory. The percentage of landless Batwa is still around 50% and the Batwa suffer some of the highest indices of landlessness in the region. The majority of Batwa have been forced to become landless sharecroppers, eking out a tenuous existence on parcels of land owned by non-Batwa living around the national parks. In many such cases these relationships are tantamount to bonded labour. Further, Batwa have been denied access to these lands for any purpose and have suffered physical abuse and legal sanction when caught attempting to enter these areas for cultural, religious, subsistence or other reasons. They cannot visit and care for the graves of their ancestors and their other sacred sites in the forest and nor can they hunt and gather forest produce and their traditional medicines. e) As a result of their exclusion from their ancestral forests and the subsequent loss of their traditional lands and forest-based livelihood, the majority of Ugandan Batwa are severely impoverished, falling at the bottom of all indices of well-being in Uganda. Having essentially become squatters living on the edges of society, the Batwa suffer severe isolation, discrimination and socio-political exclusion from the dominant society, which refer to them as “pygmies.” Also, many Batwa have been forced to beg in the streets in order to meet their basic needs. f) It should be noted that at the time the parks were created, there was international acknowledgement that the Batwa had been particularly adversely affected. The World Bank Global Environment Facility (GEF) provided funding to the Government of Uganda to support the management of the Bwindi and Mgahinga National Parks through a trust fund known as the Mgahinga and Bwindi Impenetrable Forest Conservation Trust Fund (MBIFCT). The overall objective of the MBIFCT was the protection of the forests, but the initiative also included a Batwa component, noting the Batwa have been particularly adversely affected by the creation of the national parks. g) The 1995 project document related to the GEF-MBIFCT initiative called for compensation and resettlement of people who had been moved with the creation of the National Park. However, subsequent progress reports from the World Bank show that the compensation process was inadequate to Batwa life-style, since evicted people were only compensated for their permanent crops and structures. These criteria for compensation were not compatible with the Batwa, who traditionally do no establish permanent fixtures on the land or use the land for economic purposes. Thus, compensation was only given to those who could show the loss of an economic enterprise like cultivation, mining, or logging. Additionally, although the MBIFCT has reportedly purchased some land for distribution to the Batwa, the trust has not transferred title to the individual Batwa for whom it purchased land, but rather continues to hold these titles in its own name. 393. The Special Rapporteur regrets that there is no record of a reply from the Government of Uganda to his communication of 18 December 2009 in the files of the Office of the High Commissioner for Human Rights at the time of finalization of this report. He hopes that a reply to his communication is forthcoming, and that the Government of Uganda will engage in a constructive dialogue on this issue. 394. Furthermore, the Special Rapporteur is aware that the African Commission on Human and Peoples Rights has noted with concern the fact that the Government of Uganda, in submitting its first and second periodic state reports to the Commission in May 2006 and May 2009, respectively, made no reference to the human rights situation of the Batwa people. It also failed to respond to a report commissioned by its Working Group on Indigenous Populations/Communities on its mission to Uganda in May 2006. 395. The Special Rapporteur notes, however, that the Government of Uganda indicated before the African Commission during the presentation of its second periodic report in May 2009 that it plans to look into giving land back to the Batwa people. The Special Rapporteur welcomes this remark and hopes that the Government of Uganda will do so, in consultation and with the full participation of the Batwa. In this connection, the Special Rapporteur calls attention to the provisions in the United Nations Declaration on the Rights of Indigenous Peoples regarding indigenous land rights, including articles 10, 26(1), 26(3) and 32(2). The Special Rapporteur also takes note of the need for concerted measures to provide for the health, housing, education and overall social and economic wellbeing of Batwa people. 396. The Special Rapporteur will continue to monitor this situation and may provide more detailed observations and recommendations in the future.